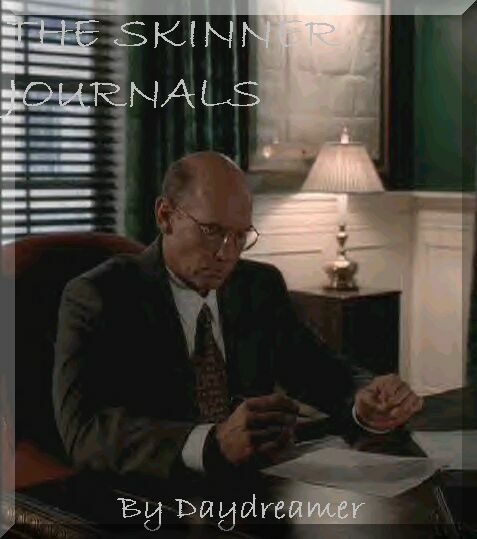 The Skinner Journals are Walter Skinner's private thoughts from the day he assumes his role as Assistant Director forward. They focus on his interactions with the X-Files Department. On his first day as Assistant Director, Skinner begins a journal that explores his thoughts on his interactions with the X-Files Department. Following the events of The Erlenmeyer Flask, Skinner reflects on being forced to close the X-Files Department. The events of Little Green Men yield some startling revelations for the AD, and force him to reconsider the position he finds himself in. Skinner reflects on his job, his marriage, and Mulder. Skinner faces sleeplessness of his own. Scully is missing and Skinner reopens the X-Files. Mulder suffers, Skinner worries, Scully is returned.